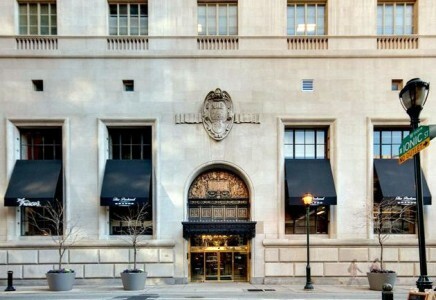 The Packard Grande, located in Center City Philadelphia, sits in close proximity to all of the city’s best retail, dining, and cultural activities. With the Avenue of the Arts theater district and Rittenhouse Square just around the corner, residents are placed within walking distance of the best the city has to offer. Convenient distance to public transportation brings the rest of the city within close reach. The Packard Grande’s units feature state-of-the-art kitchens, luxury bathrooms, and spacious floor plans. The building’s penthouse units feature unobstructed views that tower over other buildings in the surrounding area. Amenities include 24-hour doorman, a fitness center, and washer and dryer. Let the James ‘Right’ Price Team’s real estate acumen find your new Philadelphia luxury condominium home in The Packard Grande today!